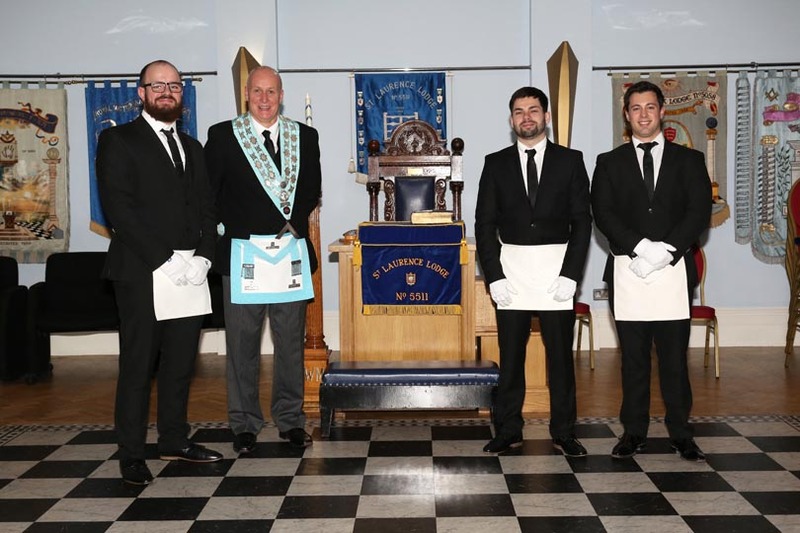 On the 11th November 2017, we carried out our third triple initiation. 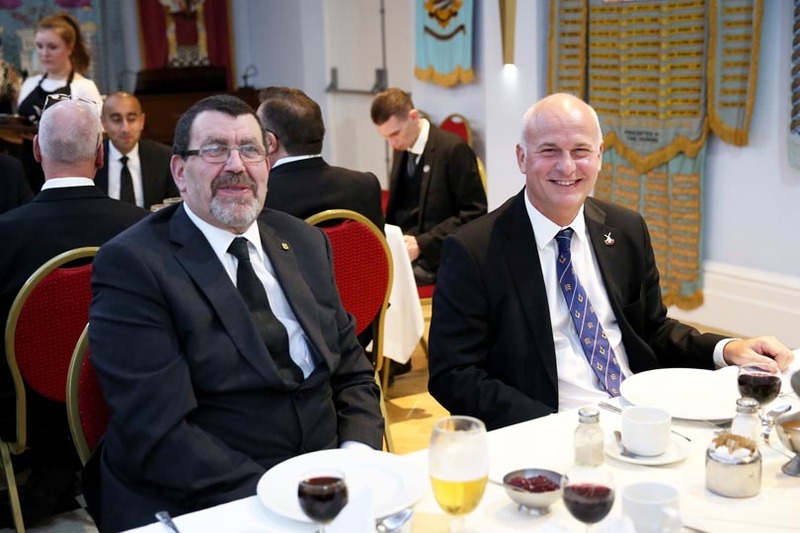 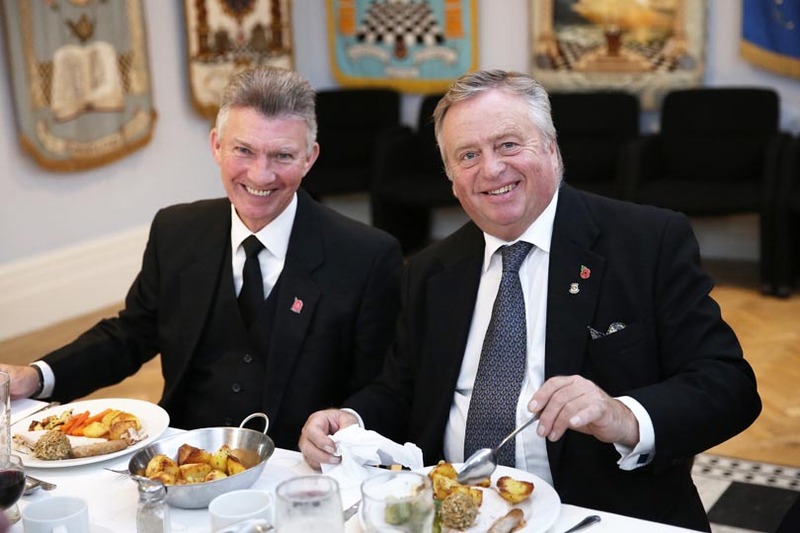 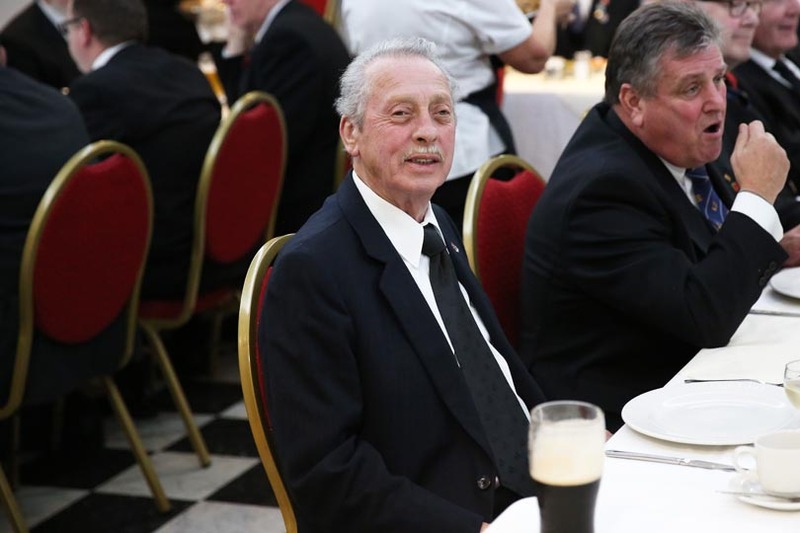 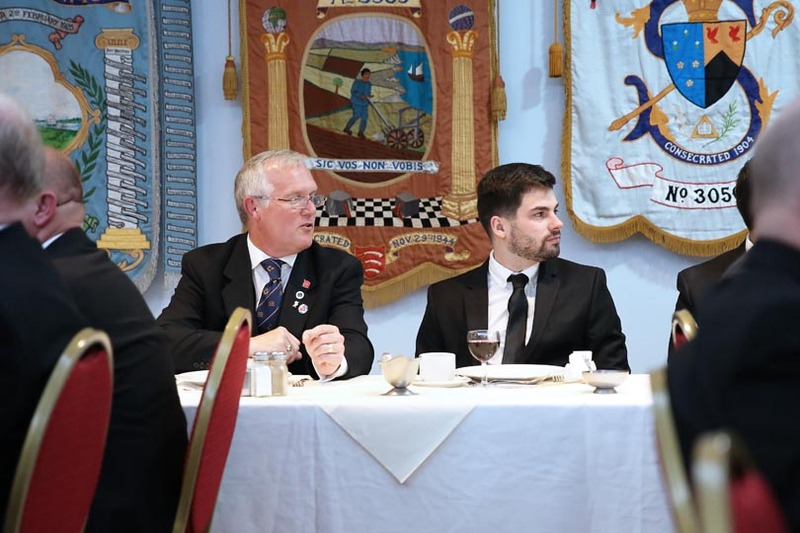 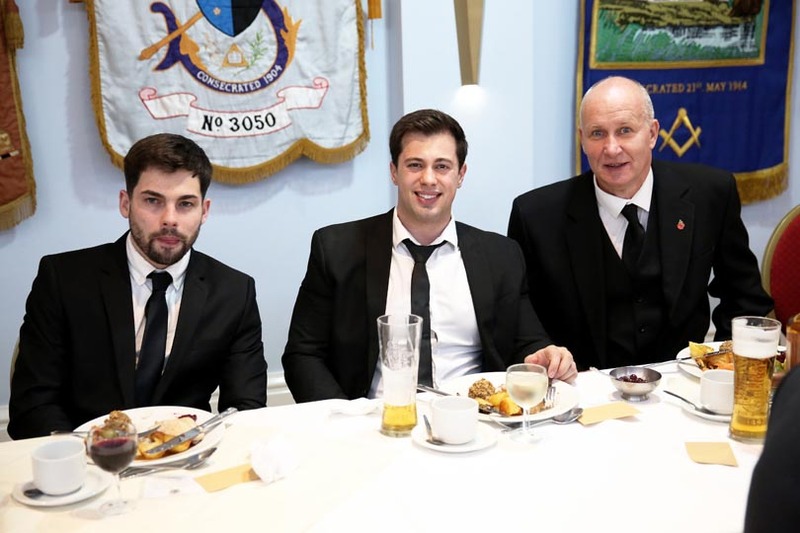 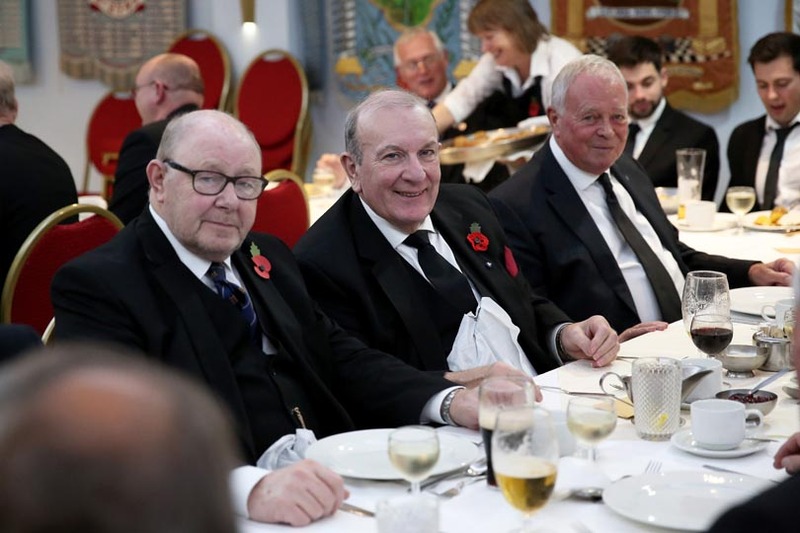 Three good men were initiated into freemasonry on one day, which required a dispensation from the Right Worshipful Provincial Grand Master of Essex. 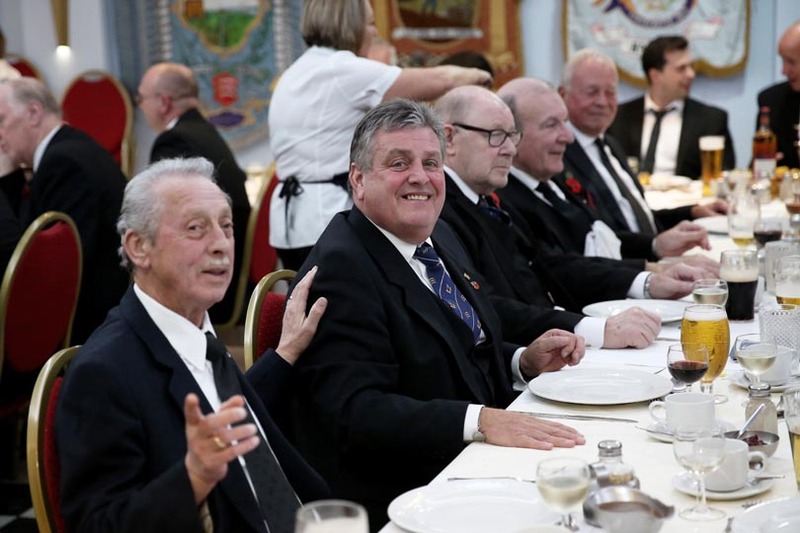 Numerous brethren took part in the ceremony and the cast was of such epic proportions that the number of our brethren involved almost equaled the number of extras in the Ten Commandments, all of whom should have won Oscars for their performance. 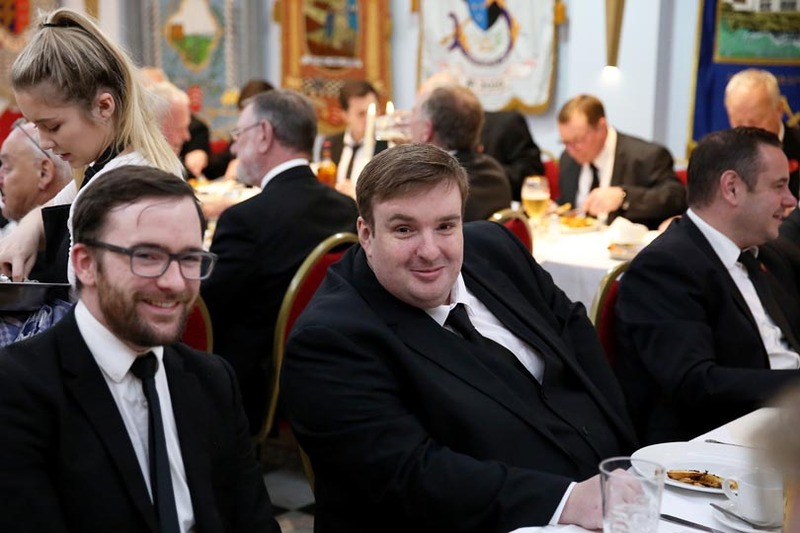 As is our way, we do not normally single out any particular participant as everyone who took part performed to a very high standard indeed, but it must be said that the Deacons, Bro Walter Mahony (actually standing in at fairly short notice), Bro Reiss and Bro Paul Newton (the third deacon also stepping in fairly near to the last moment) were absolutely brilliant! 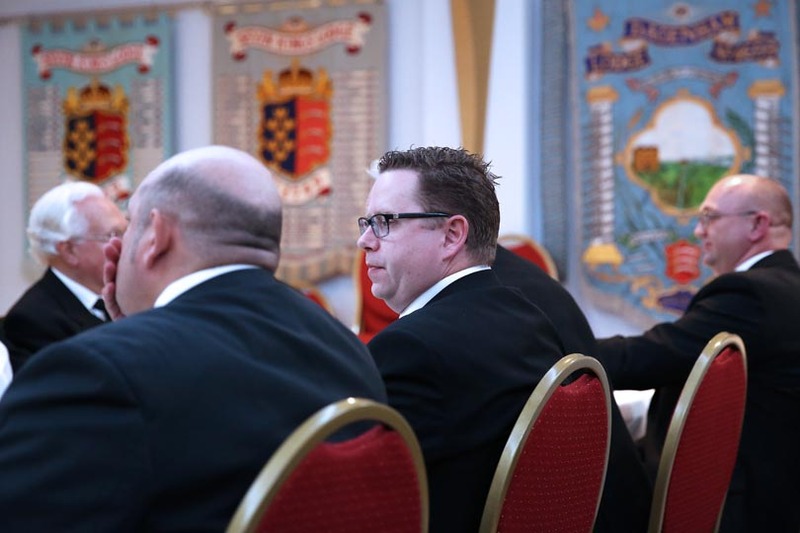 Another mention has to be to Bro Dane Curle who fulfilled his duty as cushion bearer with dignity and aplomb. 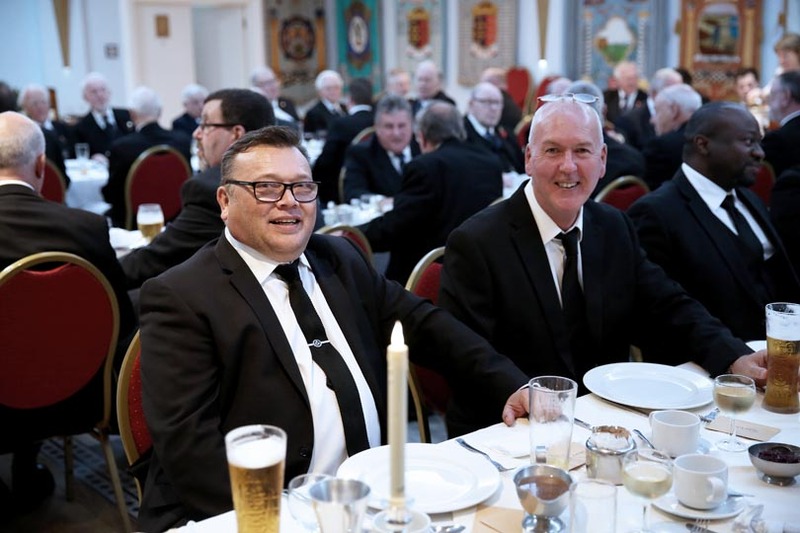 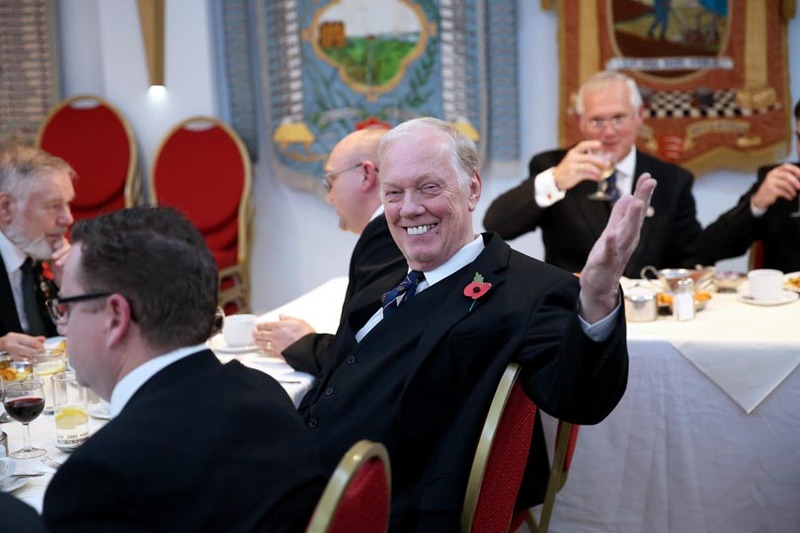 On a personal note we are all aware that Bro Dane is sad that his office of Steward and therefore the pourer of wine at the festive board will probably cease in the new year but I understand that our Worshipful Master is willing to keep him on for a further year should he so desire. 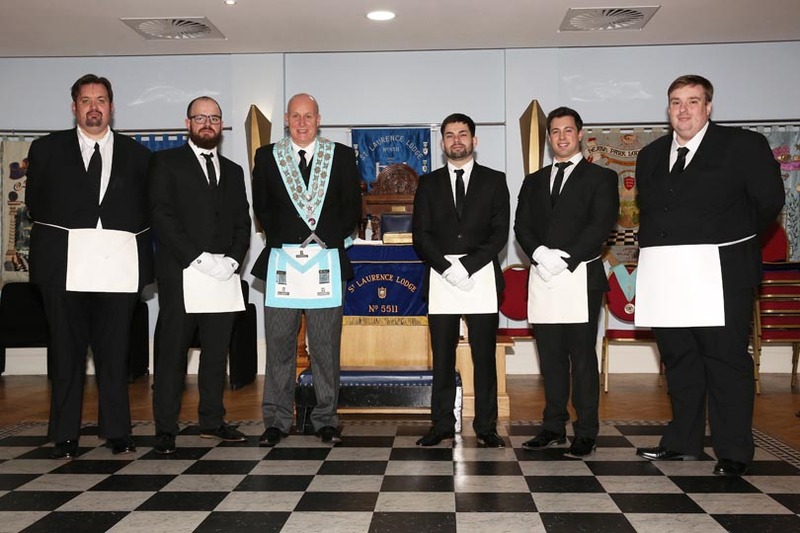 Seriously, the success (and indeed the inception) of this triple initiation was due to our Brother David West, who wrote the script for the ceremony. 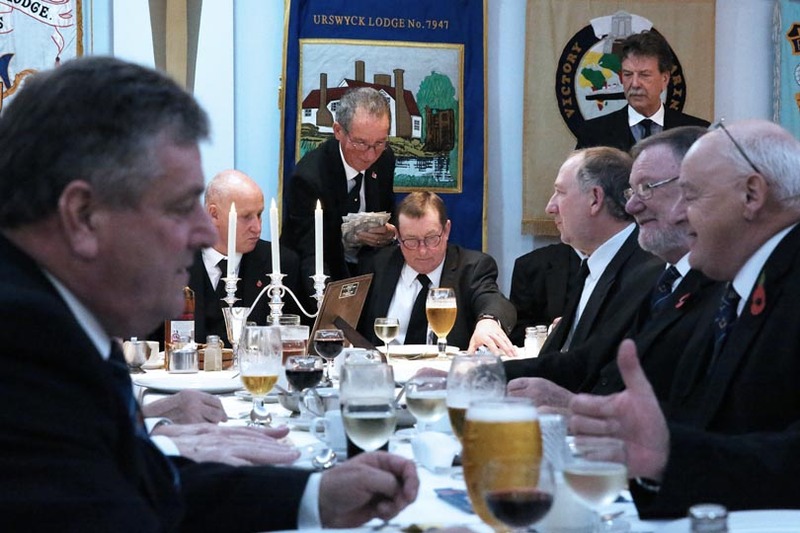 It closely followed the ritual and ensured that each of the three candidates received the benefit of a personal initiation. 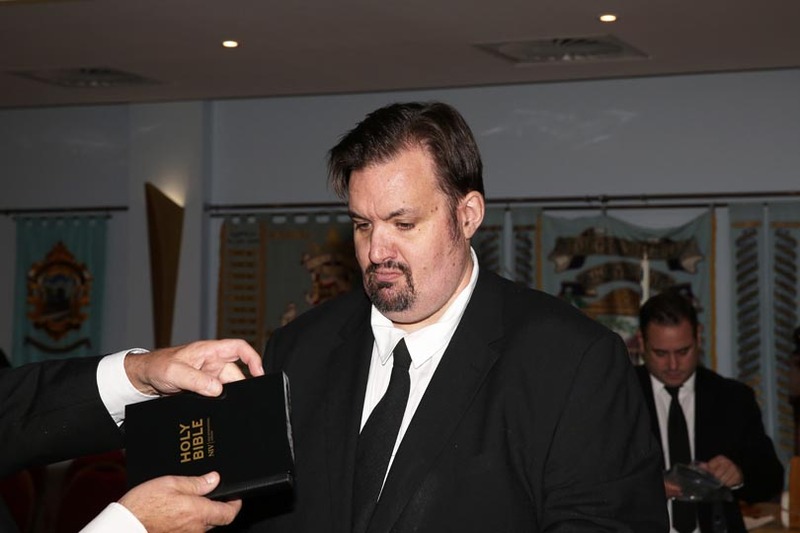 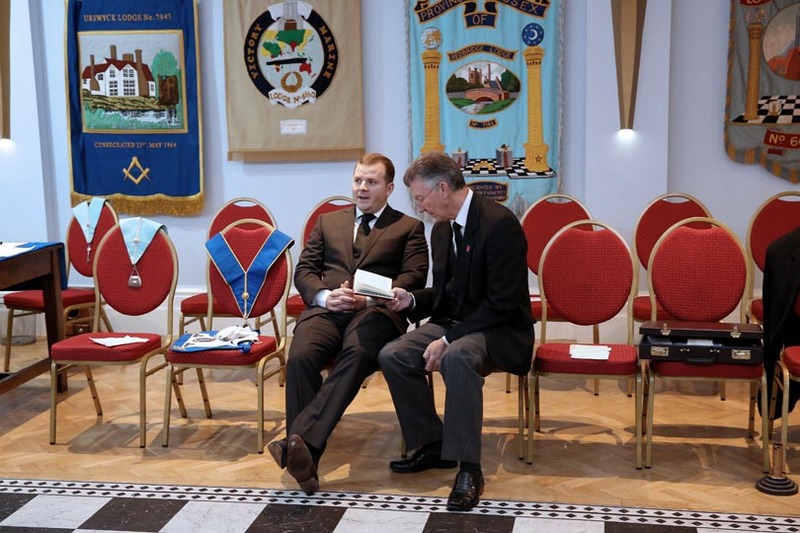 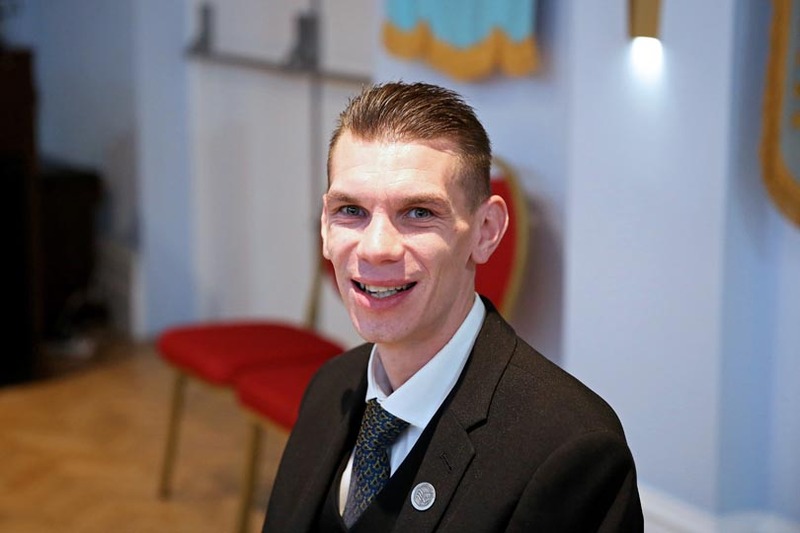 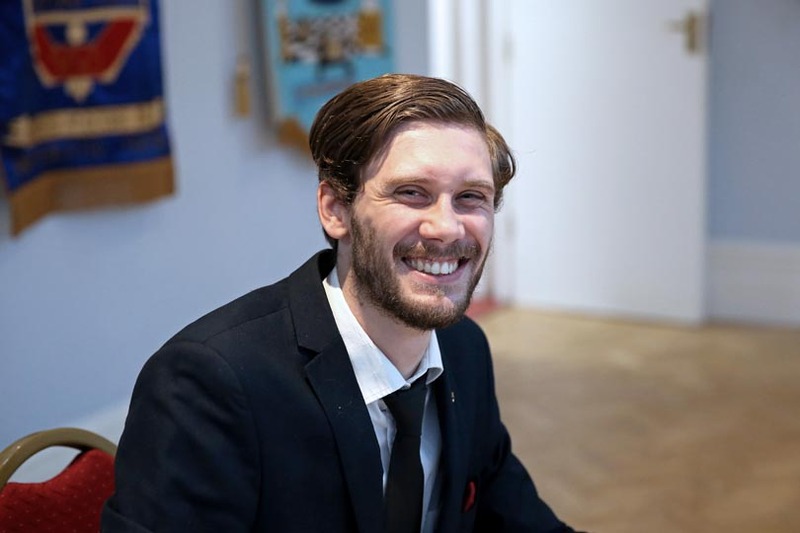 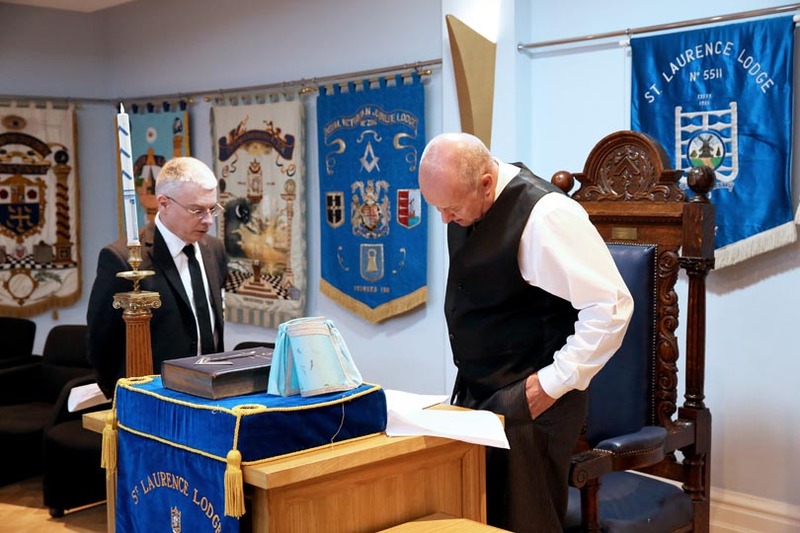 He worked very hard indeed to make sure we all knew what we were supposed to do, how to do it, and on the night, it all came together with his guidance on the lodge floor. 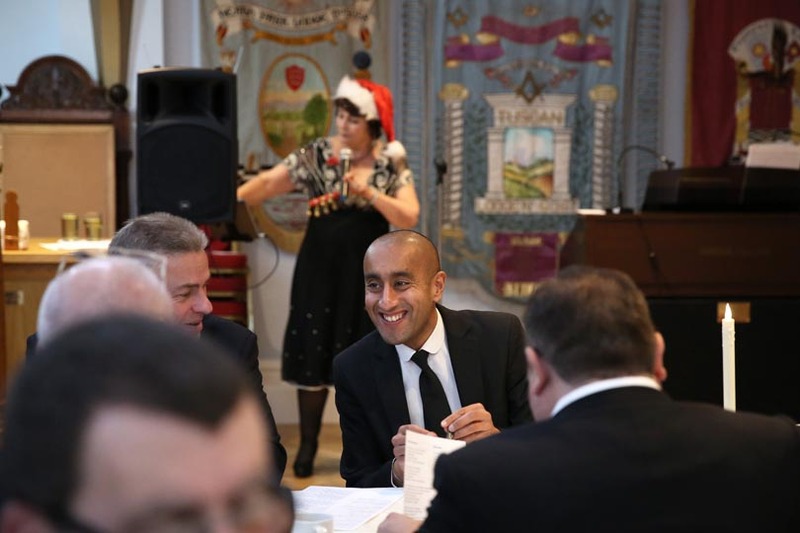 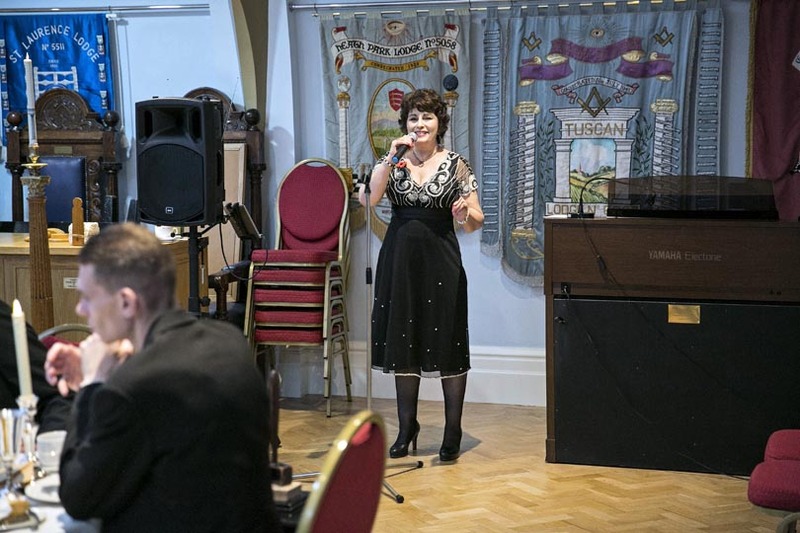 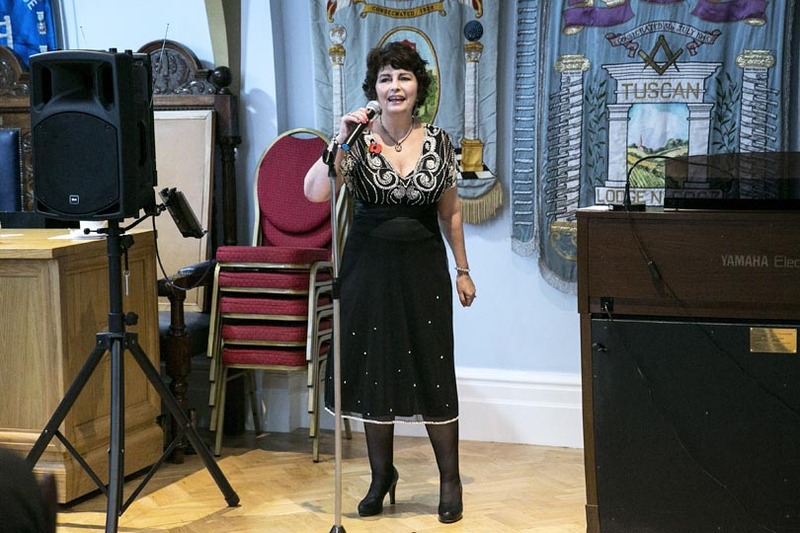 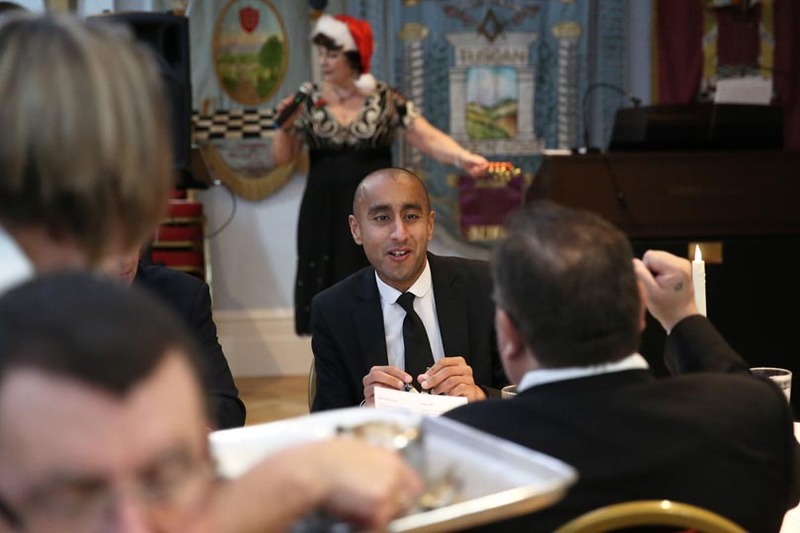 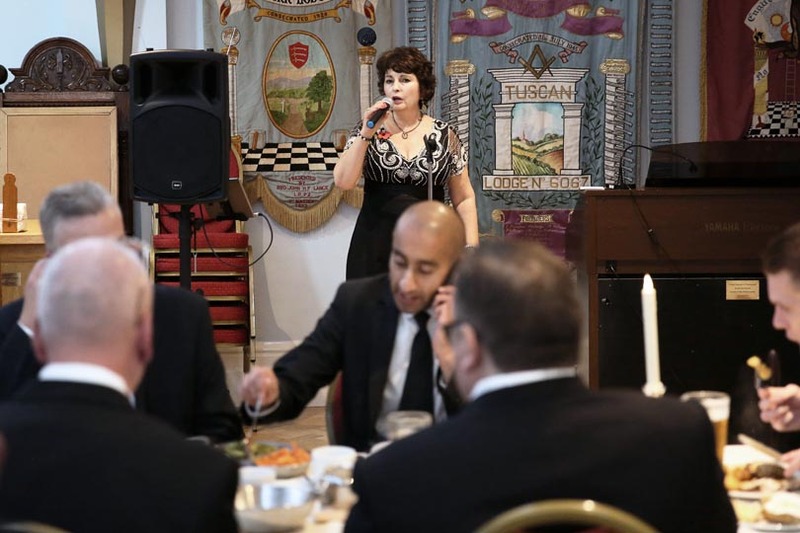 At the festive board an early Christmas dinner was served, during which entertainment was provided by a very accomplished singer, Jayne Jay, who entertained us with songs from the American song book. 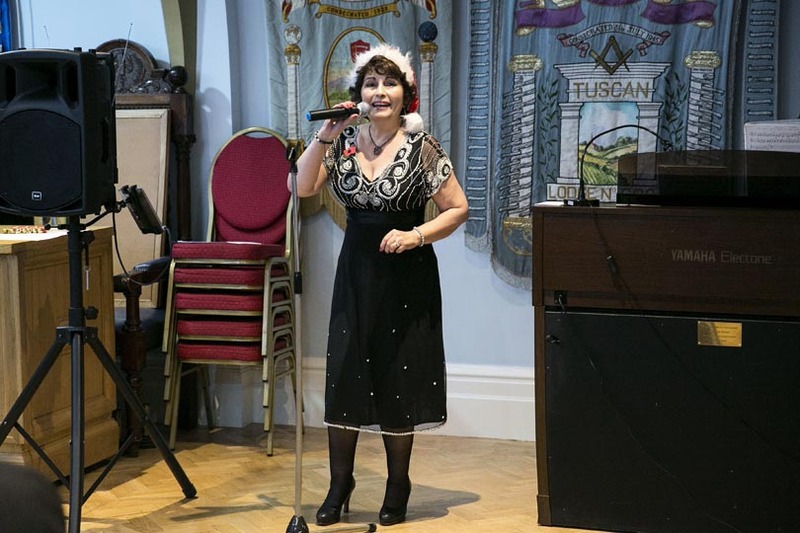 She also sang a few Festive songs with the brethren and, as it was the 11th November, finished with “We’ll Meet Again” (albeit a second world war song) to commemorate Armistice Day. 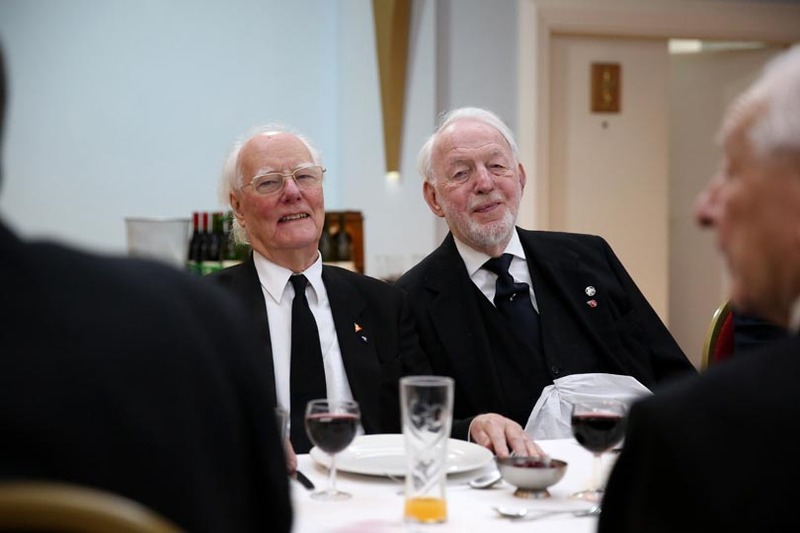 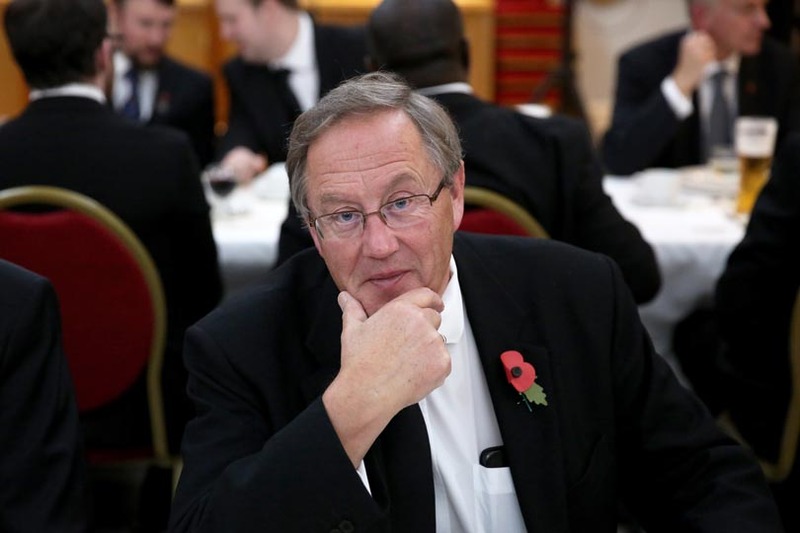 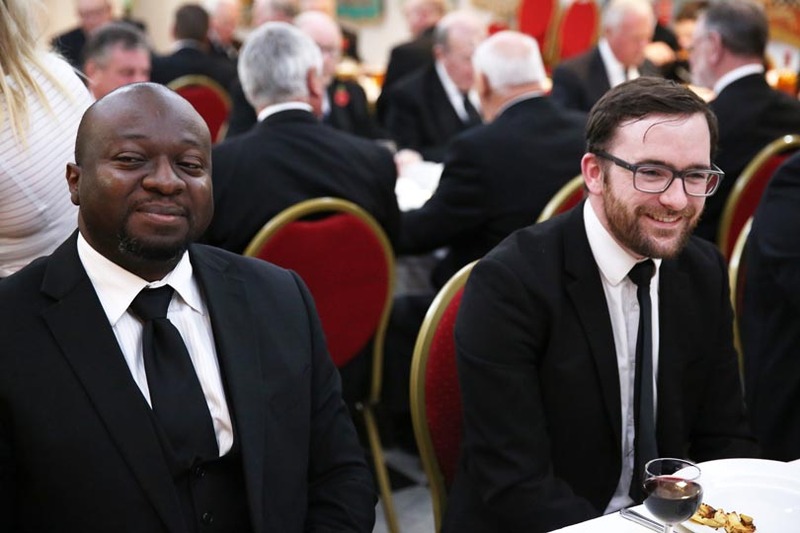 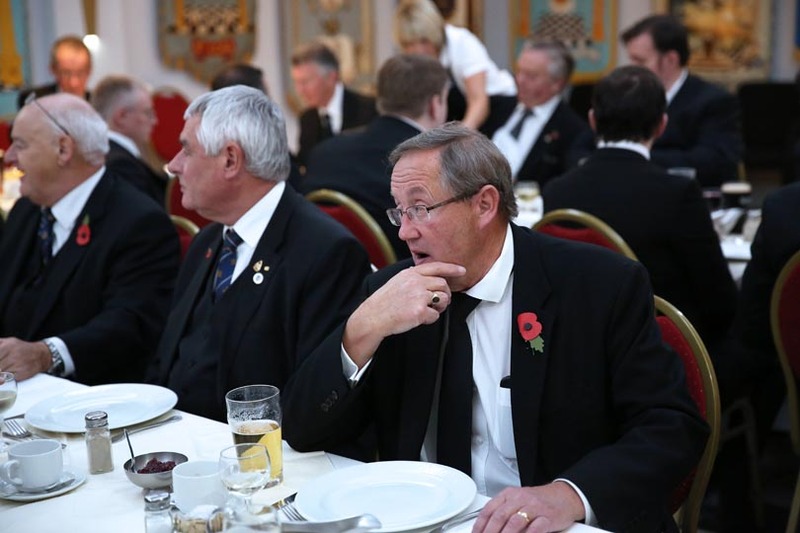 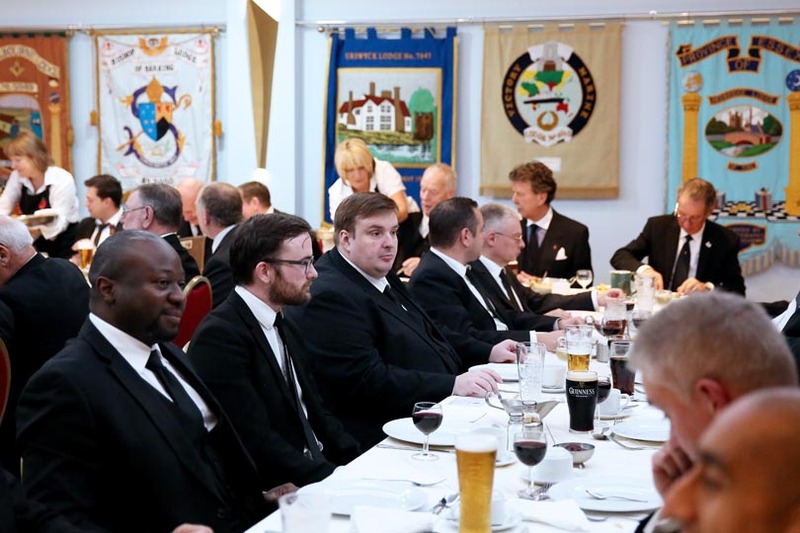 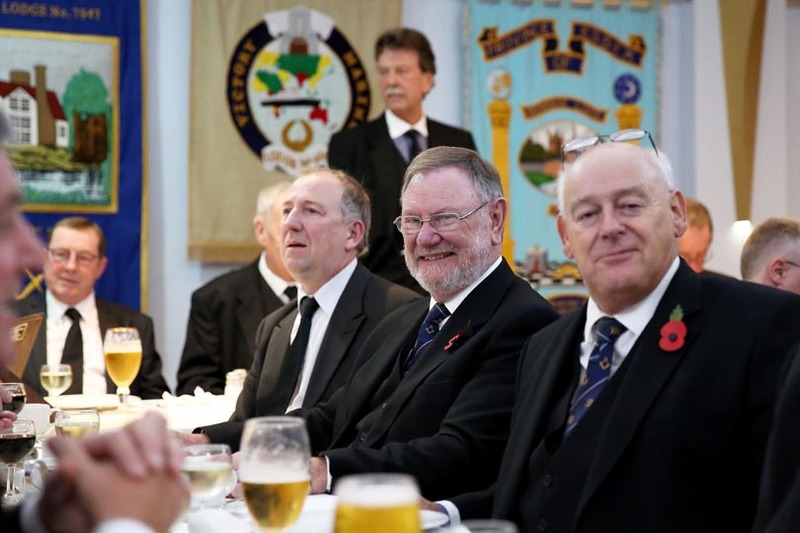 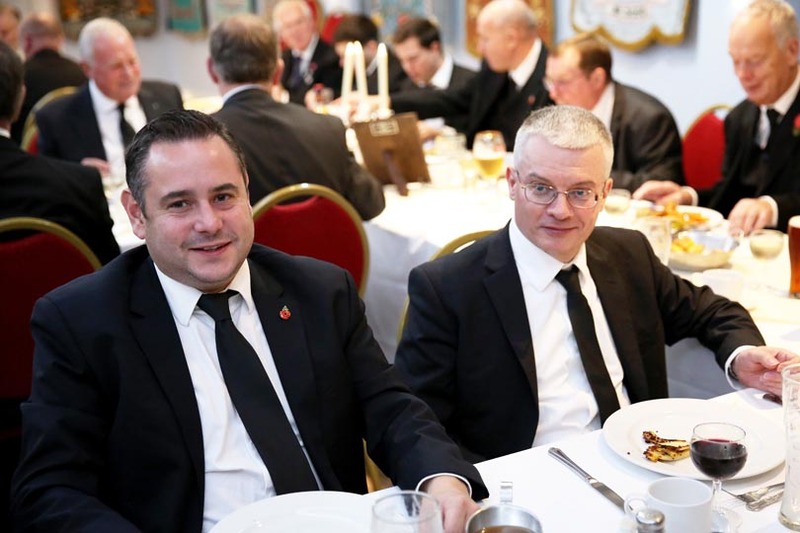 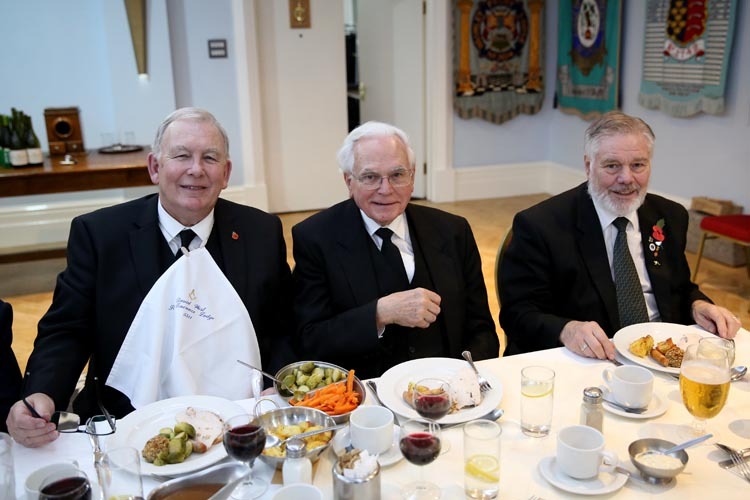 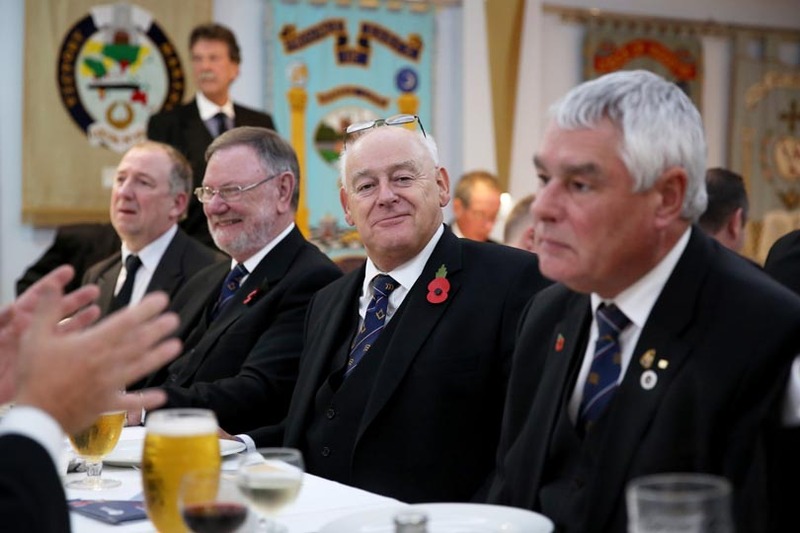 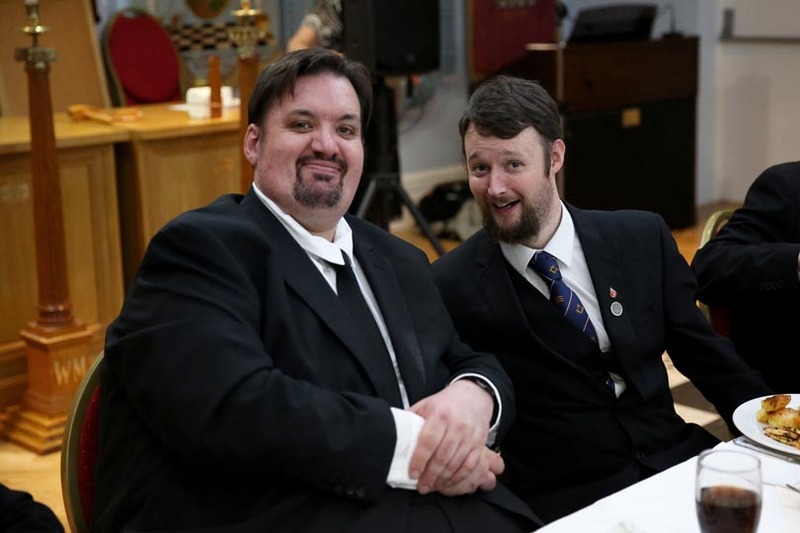 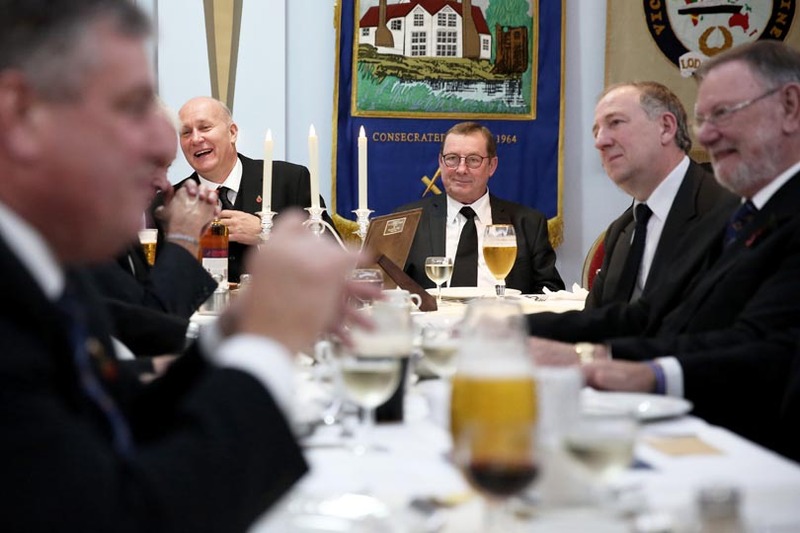 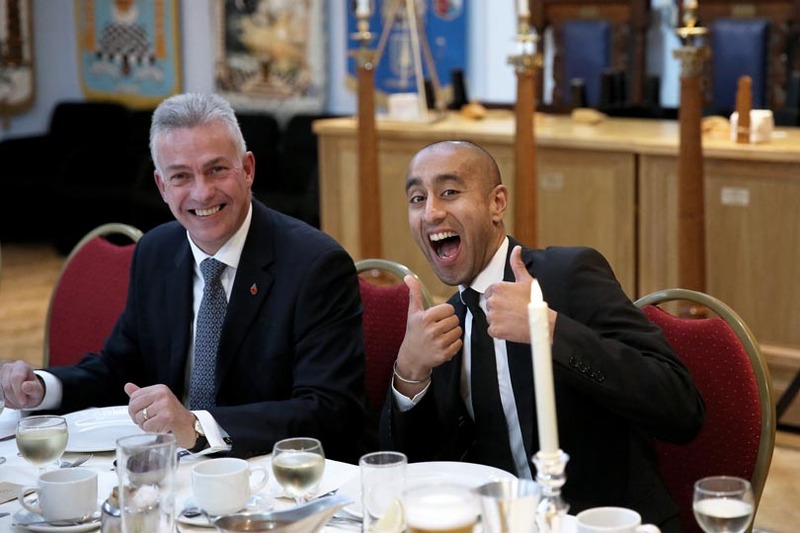 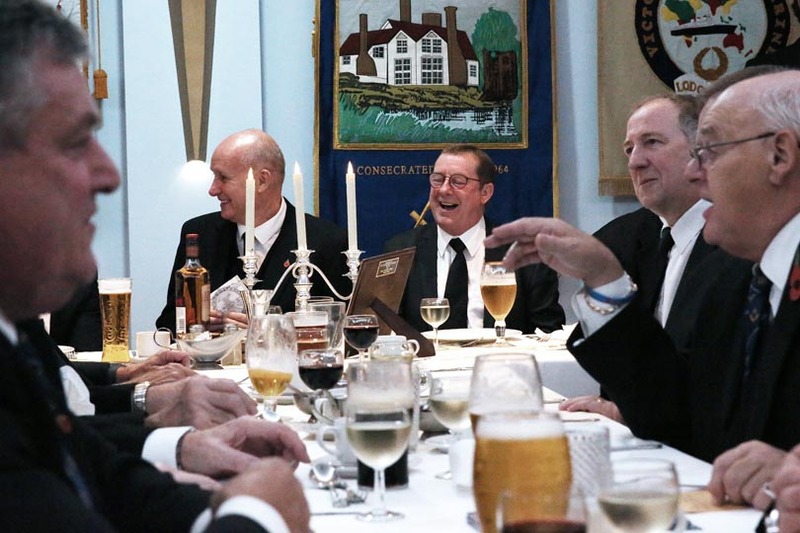 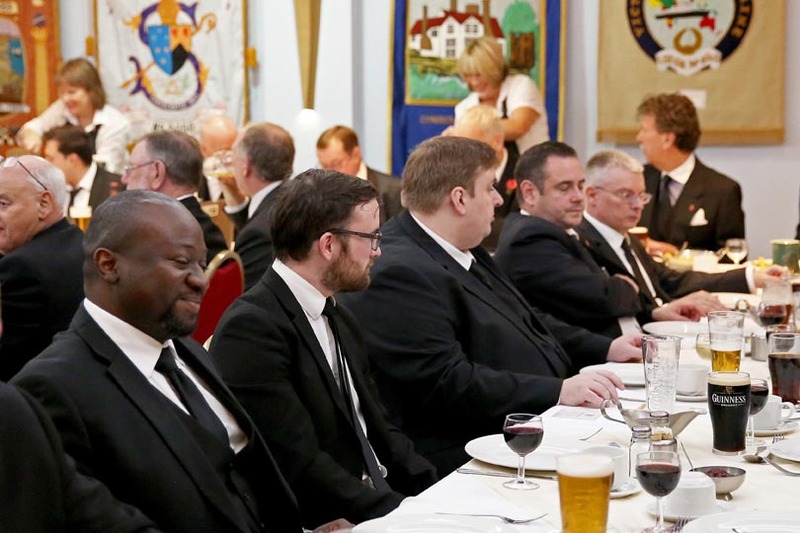 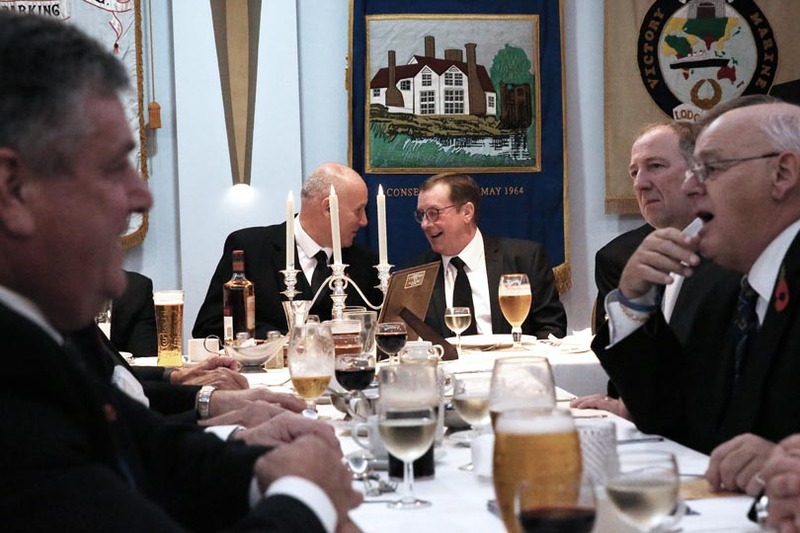 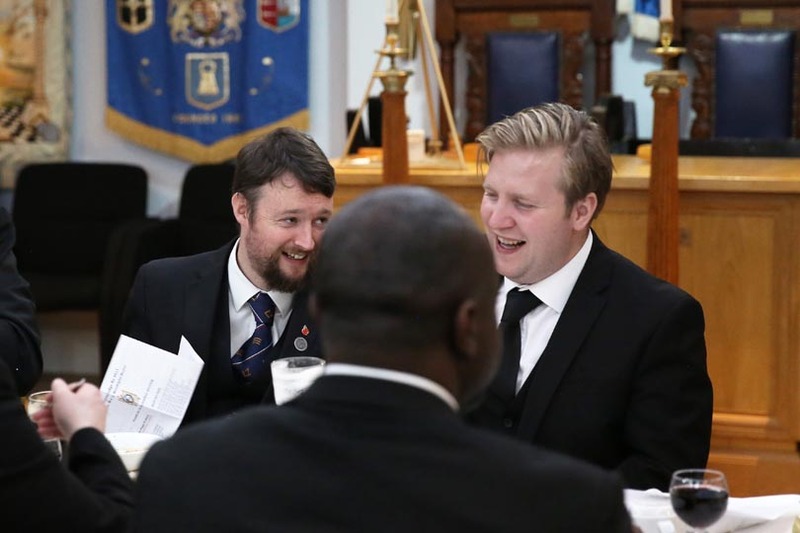 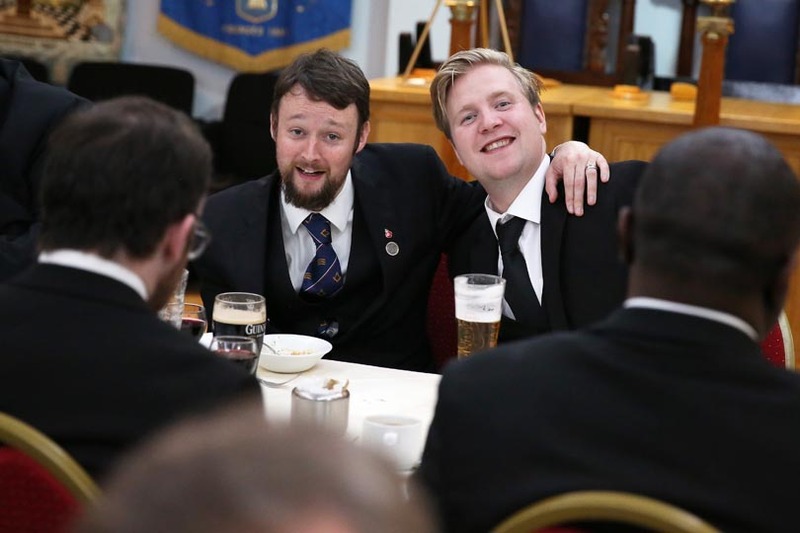 A few photos take before and after the meeting and at the festive board.